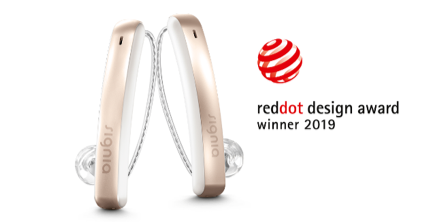 Piscataway, NJ, April 5, 2019—Signia’s Styletto Connect hearing aids have been honored with the prestigious Red Dot Design Award for design excellence. This award comes on the heels of Styletto’s iF Design Award 2019 win and exemplifies Signia’s commitment to making outstanding design an integral component of the user experience. Styletto Connect is Signia’s latest innovation and was launched at the beginning of March. This hearing solution combines a unique SLIM-RIC form factor with Bluetooth® connectivity. Since its launch, the award-winning Styletto has established itself as the most fashionable device in the hearing aid industry. 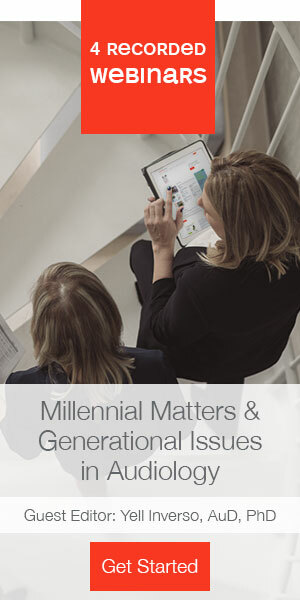 Its uniquely stylish form factor is preferred by 8 out of 10 people, according to the Signia Consumer Study 2018.1Styletto Connect also offers fully featured connectivity to the wearer’s smartphone for streaming calls, music and TV via Bluetooth. Additionally, it offers charging-on-the-go for up to four days’ use, free from plugs or cables. The notable Red Dot Design award, which dates back to 1955, recognizes the best products every year across 48 categories. Styletto Connect falls under the healthcare category. The Red Dot jury’s motto is “in search of good design and innovation.” The judging criteria include, among others: degree of innovation, functionality, formal quality, ergonomics, durability, symbolic and emotional content, product periphery, self-explanatory quality, and ecological compatibility.